Christopher Fenoglio – My books, my columns, my music. Is this the year you talk about Santa Claus? If so, this book can help make the experience a faith-filled moment for your entire family. THE SECRET OF THE SANTA BOX is an illustrated poem about Kristin, a curious girl who loves Christmas. Once she starts asking questions, her parents explain Santa in a way that reinforces their faith and the true meaning of Christmas. Linda and I talked to our children the same way as described in this book. We hope this method will create a lasting impression upon your family and fill your home with the joy of the season. Read more. Christopher Fenoglio is an author and columnist in Nashville, Tennessee. A graduate of the University of Notre Dame, he is a past assistant editor of The Tennessee Register, the newspaper for the Catholic Diocese of Nashville. For six years he was also a columnist for the newspaper, writing the monthly column Reel Life Journeys about faith, films, and family, for which he received honors from the Catholic News Service. 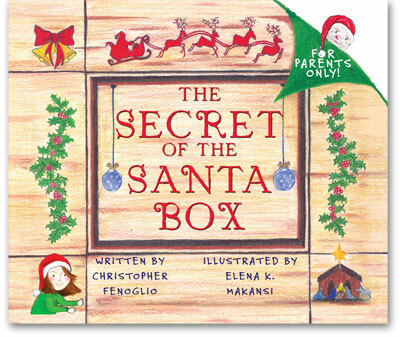 Fenoglio is the author of THE SECRET OF THE SANTA BOX, a Christmas poem about Santa Claus and the true meaning of Christmas. 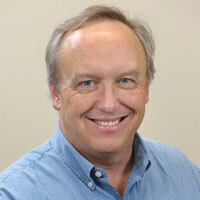 He also serves as a cantor and music minister at St. Henry Church in Nashville. He and his wife Linda have three grown children and a hilarious granddaughter. Read more.